Want to offer the best perks in town? Feed your team like they work in Silicon Valley? Monumental Pantry Service will stock your break room with all the yum your team could ever want. Unlike our Open Door Markets, Monumental Pantry Service provides a fully stocked kitchen or break room at no cost to your team. Just pick your pantry items, and we’ll make sure you’ve got everything you need to thrive. Tell us what you want to spend, and we’ll create an awesome spread that makes everyone smile. Whether you want to focus on health or accommodate the gluten- or sugar-free, we offer what you need. When your company is looking for an office coffee service Columbia, MD businesses rely on, look no further than Monumental Markets. We know that many people start their day off with caffeine in some form; their coffee pot is set to brew before they even get up for the day. However, this will not sustain the average employee. In fact, many people go back for an extra cup of coffee once more in the morning and even in the afternoon. 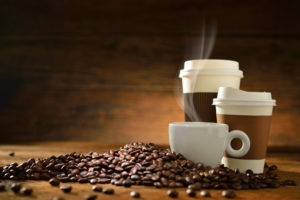 There are many reasons your office should get a coffee delivery service and when you determine the needs of your employees you can determine the right type of coffee delivery service. Instead of leaving your employees with a bad taste in their mouths because you provide low-quality coffee or no coffee at all, consider the reasons below for starting your delivery service today. A Columbia, MD office coffee service can help your company! Why Even Get One? When asking why you should get an office coffee delivery service, what you are really asking is “will this be worth my office manager’s time?” and “will the money we spend on coffee delivery actually make a difference in my employees’ days?” The answer to both is yes. Someone, likely your office manager, is spending time planning the types of coffee your office needs, shopping for it, and setting up the coffee areas weekly or even daily. Likely, your coffee area is under or overstocked and you could be using this money more efficiently. When you have the right amounts of coffee and supplies, your employees will benefit from fresh, delicious coffee. Caffeine Is Caffeine. Not all caffeine is created equal. When an employer goes the cheap route with bulk office coffee, the employees are the first to notice. When you begin to think that most of your employees will start their day with a cup of coffee, you know that it is important. Buying the cheapest quality just to have a coffee area does not show your employees you care about what they need. Investing in an office coffee service in Columbia, Maryland that brings quality to your door makes for happier employees and more productive work time. Will My Company Be Overpaying For Coffee Delivery? While quality coffee comes with a price, so does overpaying for bad coffee. When you choose a Columbia office coffee service like Monumental Markets you do not just pay for coffee. Instead, you get your delivery, as well as supplies, so your employees have everything they need in one area. Does It Actually Make For a Better Workplace? While coffee delivery service cannot solve all of life’s mysteries, it can bring co-workers together and save company time when they avoid their one or two daily trips to the local café for a cup of coffee. Not only will your employees be happy that they save money, but it encourages them to stay in the office and get back to having a productive day. When you upgrade your bland coffee station into a place employees are excited to go to, you are not just paying for coffee delivery. You are getting employees who are excited to come to work and have the fuel they need to make your company even better. For more information on an office coffee service in Columbia, MD and how we can help your company, reach out to Monumental Markets today. Free food has a powerful effect on office culture. Monumental Pantry Service keeps teams satisfied. When you feed your teams, word gets around. Monumental Pantry Service can help tip the scales for prospective employees. Our market is great! It’s easy to use, always stocked, and open 24/7! Reach out via email or phone (301-595-4909). We’re always happy to help!